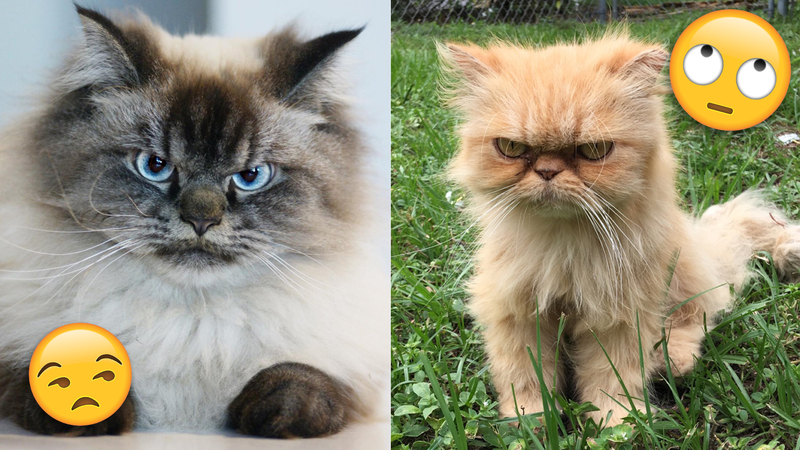 Home Pets 18 Cats Who Are Silently Judging You. Cats are creatures of diverse talents – they stalk, hunt, leap, and tear your ego down with one judgemental stare. These 18 cats are silently judging you and your questionable life choices! 1You carry on making a fool of yourself. I’ll watch. I wouldn’t be silently judging you if you weren’t so foolish. 2I’m not sorry about bursting your bubble. Some people need to be reminded about their poor life decisions. 3You’d stop that if you know what’s good for you. 4The second-hand embarrassment, oh dear. A part of me wants to look away, but the other part of me wants to keep watching. It’s like a train wreck. 5Those darn kids are stepping on my lawn again. Can they just grow up and get out of my neighbourhood, like, now? 6Shan’t stoop to your level. I would challenge you to a battle of wits, but I see you’re unarmed. 7It might just be my face, but your folly isn’t helping. The way you’re behaving, it just brings out my natural talent. 8Thanks for spreading your fashion cooties to me. Why am I even putting up with this? 9That shouldn’t even have crossed your mind. How in the world did you get it so horribly wrong? 10I can’t stop you from doing that. But I can absolutely sit here and give you a stink face while you’re at it. 11I really want to love you, hooman. But you’re on the 16th consecutive hour of your Netflix binge. Love yourself, man. 12Come on, you can do better than that. You have a highly-developed prefrontal cortex, but you barely use it. 13Geez, you call this a lawn? Actually, don’t try to landscape this. I’m almost certain you’ll make it worse. 14Silently judging you from down here. Physically looking up at you, mentally looking down on you. How you manage to embody so many fashion sins in one look is amazing. 16You incite plenty of feelings in me. 17I’ve already used 47 muscles to frown. What’s another 4 more muscles to reach across the room and smack you? Yet another great day for me to spend sitting down and silently judging you. Hoo-freakin’-ray. Does your cat ever silently judge you? Tell us all about it in the comments section! They’re so cute even when they’ve got a stink face – visit our Pets category and see more cute animal companions! Previous articleThese Pets Are The Proudest Parents Ever!